The G.I. 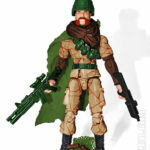 Joe Collectors Club has just posted up another image of FSS 5.0 this time, Ambush. 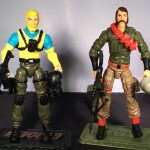 Custom G.I.Joe ARAH Dino-Hunters By Phweep! HissTank member Phweep is back and dropped his custom Dino Hunter duo, Ambush and Low-Light on us like a boss. Check them out after the jump!